Hi dear friends! It’s wonderful to be back with so much to share. We just came back from a little weekend retreat at the beach, and we had a great time. Also, I finally received my Grand Calibur’s new handle and I must thank Karen Haas from Spellbinders for also sending me another internal part that needed to be fixed. I’ve been wanting to make a nice vintage project for a while. I love making cards but I really wanted to try something different. This is a vintage album box I created from scratch. 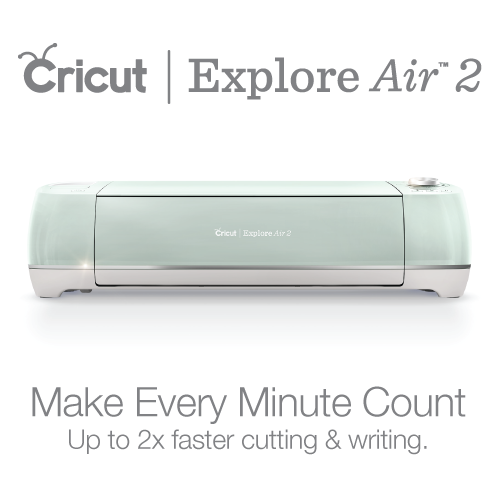 It measures 4″ x 7.5″ x 1″. It has two 1/2″ inside pockets that can be filled with photographs, tags, note cards and more. So I may continue working with other complementary creations to finish this project. In which case, you’ll see me posting about them during the next month. 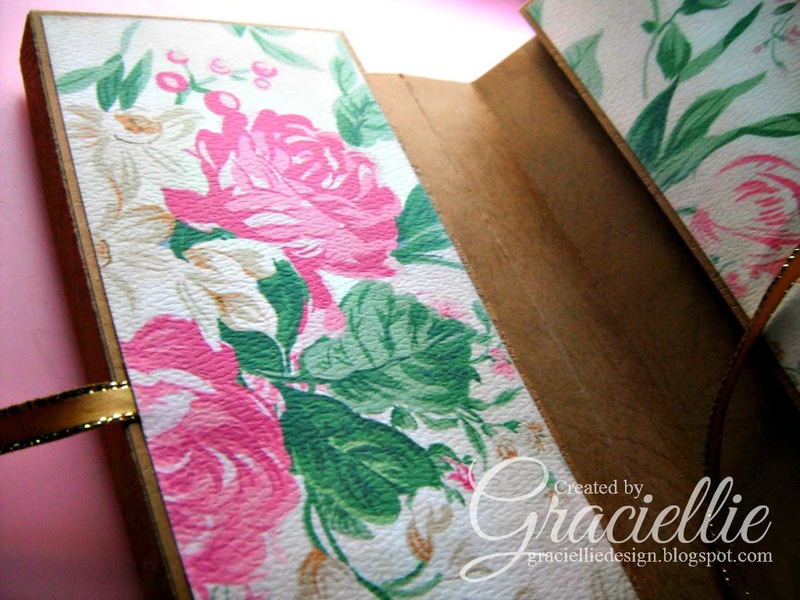 The box was covered with a beautiful floral paper inside and out. 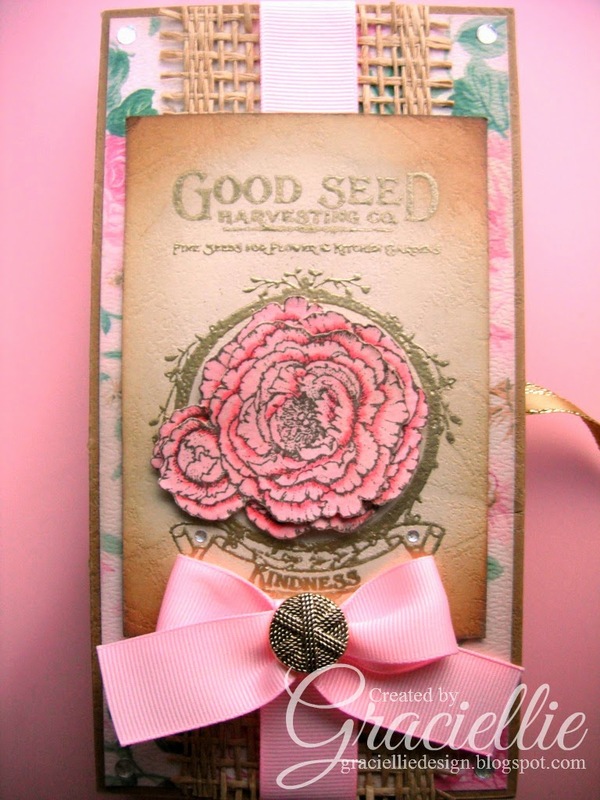 I embellished it with gross grain and burlap ribbon, a vintage button, and let the stamped images be the focal point. 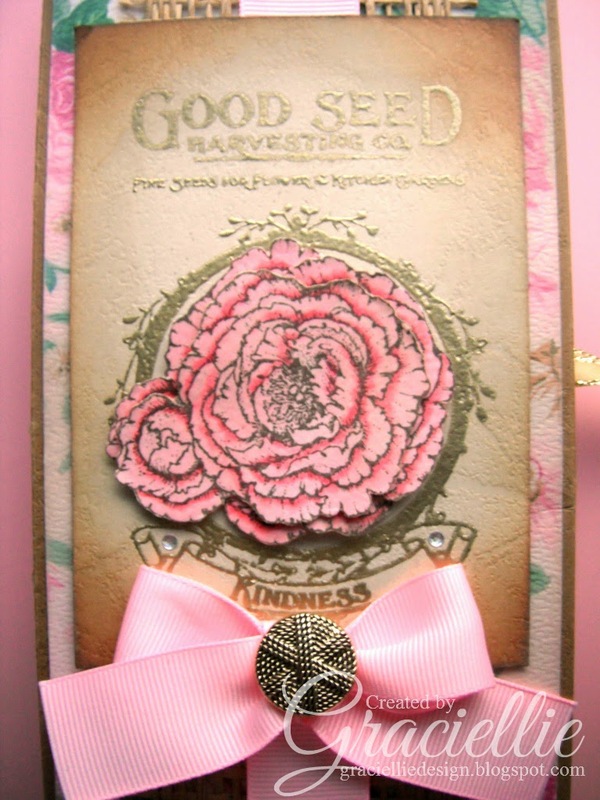 For the main decoration of the box, I created a vintage seed packet, all embossed in gold. The Peony was stamped and colored twice, and one of those images was cut in pieces that I then layered around the original stamped flower, to make it look larger and fuller. I have to mention some people that inspired me to make this creation, starting with Gloria Stengel and her design team from Craft Hoarders Anonymous, who are very clear influences to me at the moment. Another person that made this look easy is Molly from iloveminialbums, whom I found by ‘accident’ on YouTube (she makes the loveliest projects). To all of them, thanks for sharing your gorgeous work with us. I hope you’ve enjoyed this post. I’ll be back sooner than you think with more to share. Have a great week! beautiful!! Thank you so much for sharing it with us at Craft Hoarders!! Another beautiful project, Gracielle! Thanks so much for joining us at Craft Hoarders Anonymous Challenge #4: Sparkle, Glitz or Glam! Very pretty! I love the embossing! Thanks for playing along at Craft Hoarders Anonymous! You have created another gorgeous creation! 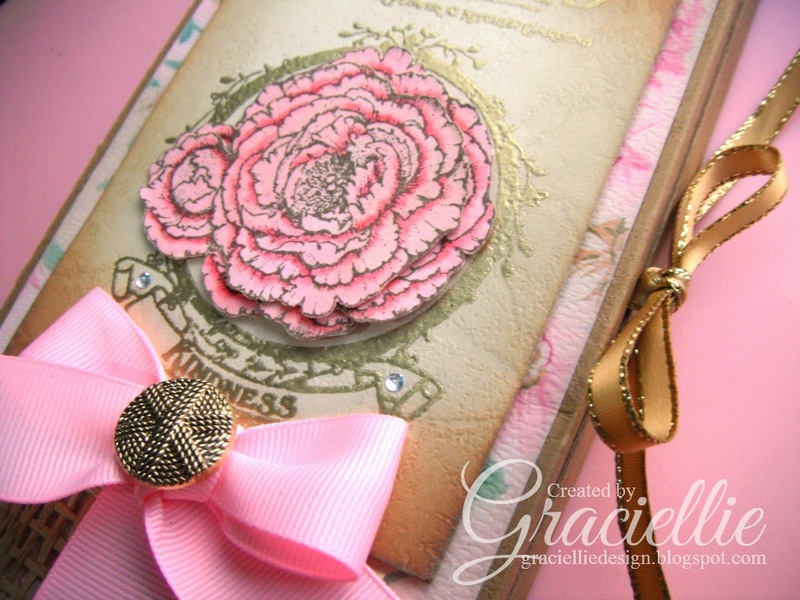 Love all the pretty embossing! Thanks for joining us at Craft Hoarders! Love the design of this box. Fantastic embossing. Your Vintage Box is so beautiful. The color mix is just perfect for Spring, and very cheerful. Great job inside and out. Great to hear you were out enjoying life with your family. 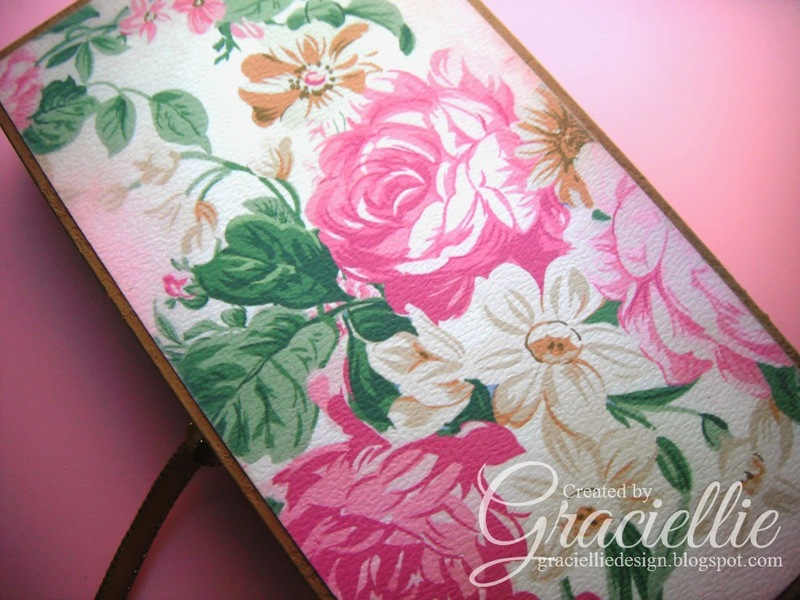 Oh, Gracie, this is gorgeous! I just love the soft colors and the wonderful design! I agree that the embossing really adds such richness! Totally a delight to my eyes, sweet friend! Hugs! What a stunning box album…so very pretty. This is so beautiful! I love the colors and the papers, just stunning! You did an amazing job on this! 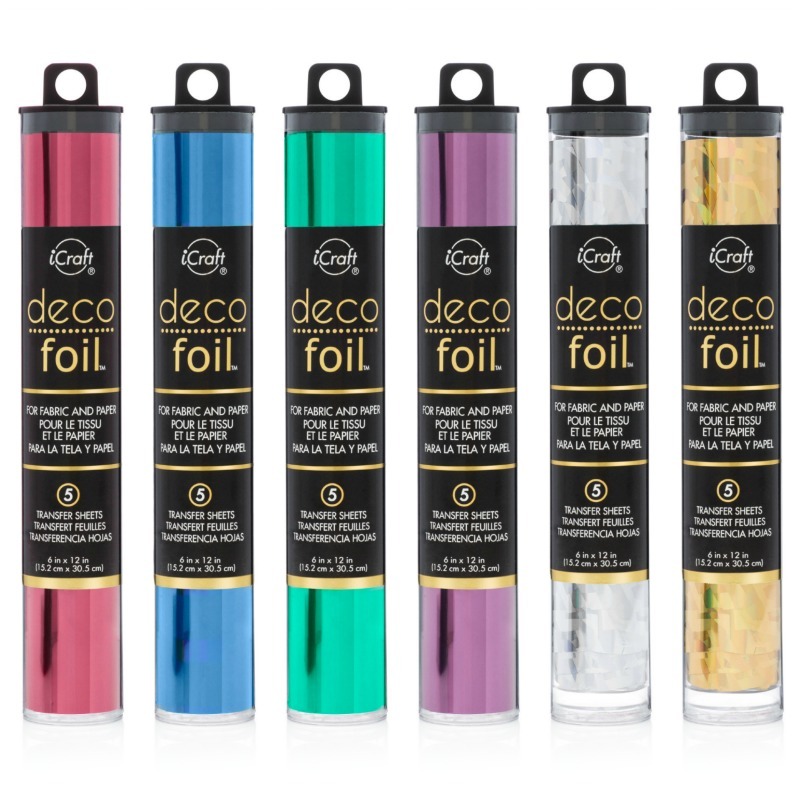 I have the spectrum noirs as well and I just LoVE them! Another gorgeous project, thanks for playing along with Craft Hoarders Anonymous. Such a beautiful card. The details are just fabulous. I love it : ) Thanks so much for playing along with us at Craft Hoarders Anonymous Challenge Blog. I hope you can come back to play again soon. Beautiful….Thank you so much for sharing it with us at Craft Hoarders!! So very beautiful! 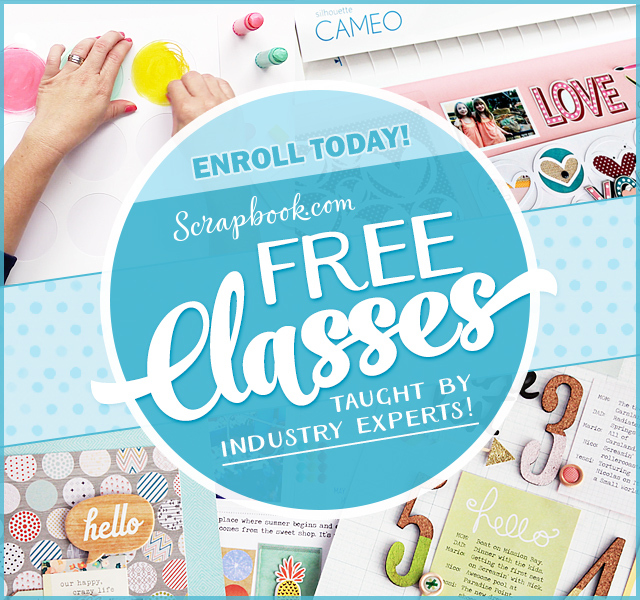 Love your new blog design too! Me thinks you like flowers, and pink roses in particular! 😉 Your project is truly beautiful. Thanks for sharing your style with us at Craft Hoarders Anonymous!